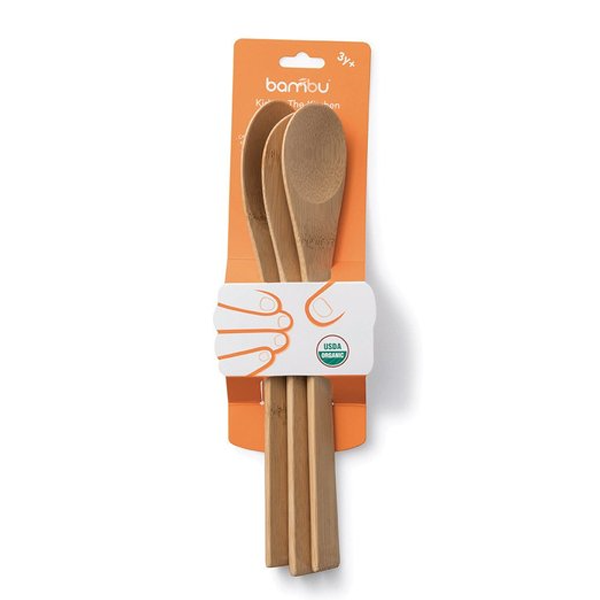 This lovely set of bamboo utensils - oval spoon, round spoon and spatula, are perfectly sized for little chefs! 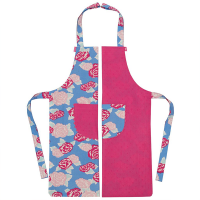 Use the round spoon to mix cookies or cake batter, the spatula to turn eggs, and the oval spoon to stir soup or sauce. 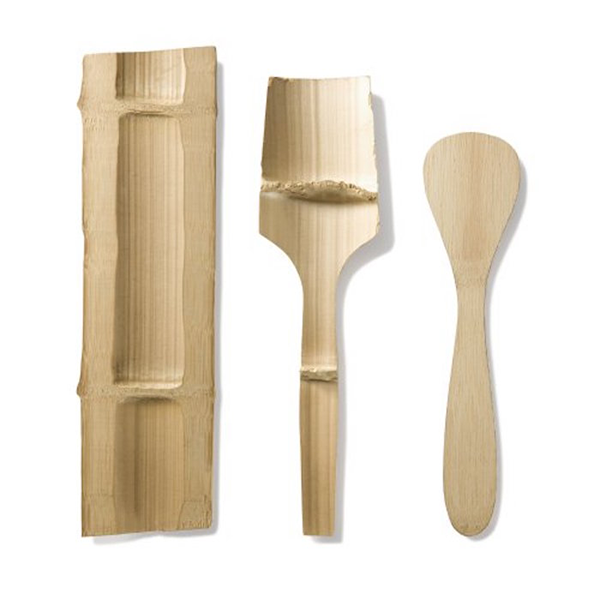 Each utensil is made from a single piece of organically grown bamboo, then hand shaped and finished. 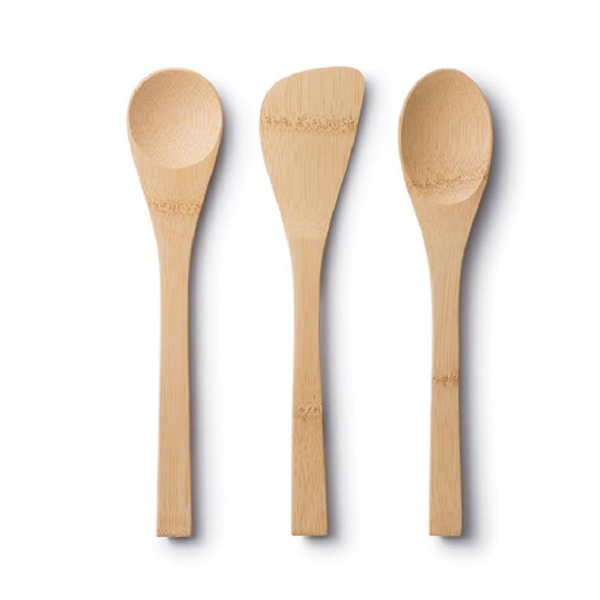 Bamboo is more durable than wood, is stain resistant, naturally anti-microbial and is ideal for non-stick cookware. Hand wash with warm soapy water and rinse thoroughly prior to first use. Not recommended for dishwasher or prolonged soaking. Not recommended for microwave.